Since Disneyland's opening in 1955, and Disney World's in 1971, a lot of attractions have come and gone. Disney likes to hold on to its successful rides, but some were too costly, or just not popular enough; others were just collateral damage for newer and more exciting rides (the fact that Disney World's Mr. Toad's Wild Ride closed still stings). These rides are lost, but not forgotten. Let us look back at the nostalgic graveyard of defunct Disney rides. This ride never stood a chance. 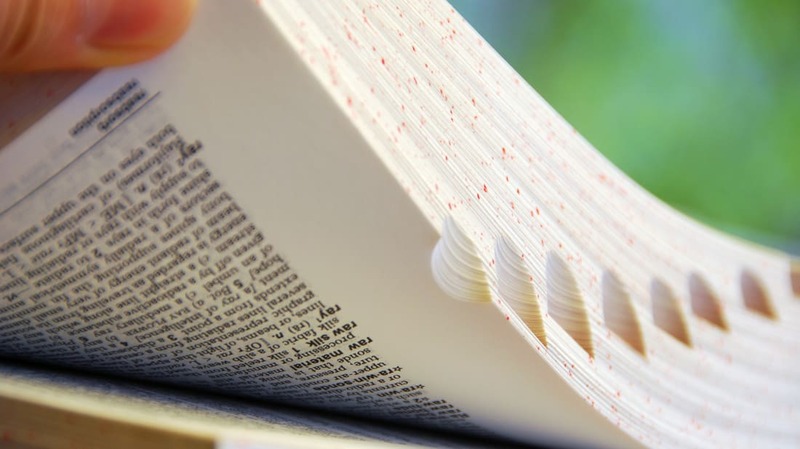 Lasting just a year, its big problem was that it was too boring. 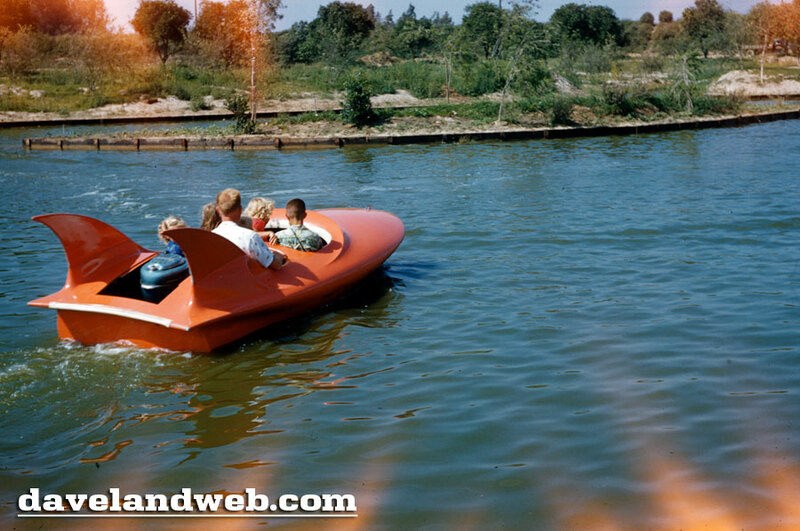 Originally called the Tomorrowland Boats, this ride featured slowly moving white vessels that visitors could drive around the lagoon. 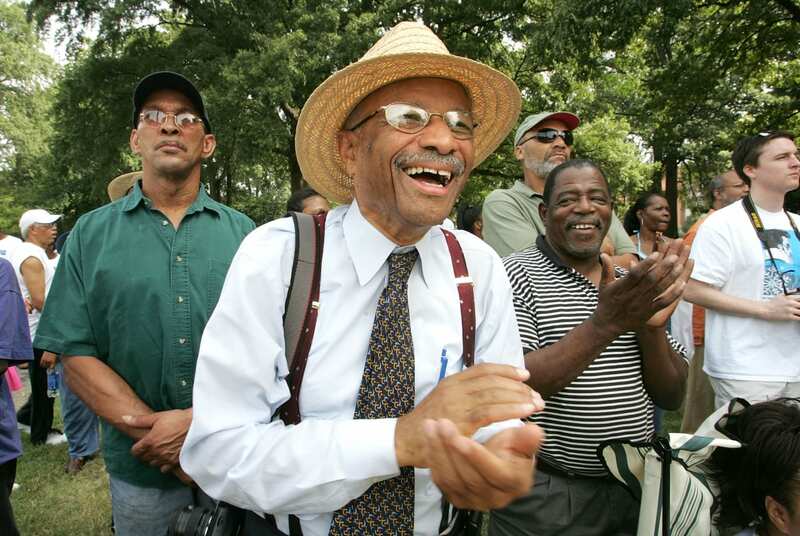 On August 16, 1955, they were rechristened The Phantom Boats and redesigned with tailfins that were apparently a mechanical nightmare; the boats left park-goers stranded in the middle of the lake and undoubtedly very unhappy. The boats' last appearance was in the summer of 1956, making it the first ride to be removed from Disneyland. 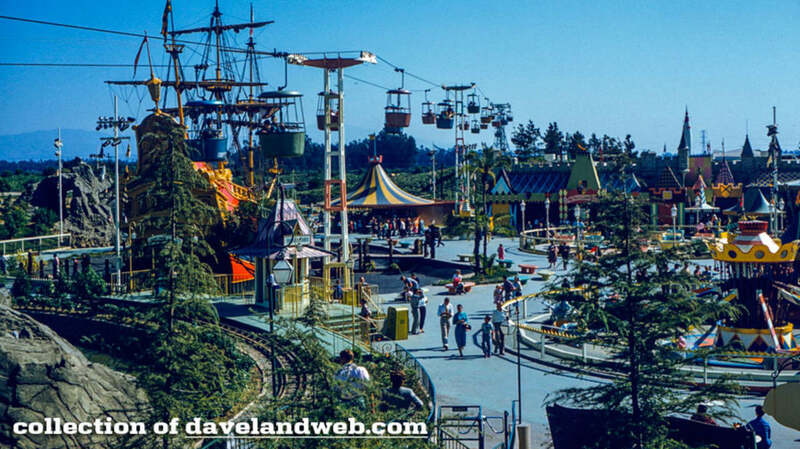 The ride stayed mostly the same for its duration, with the exception of a new coat of yellow paint in the mid-'80s. 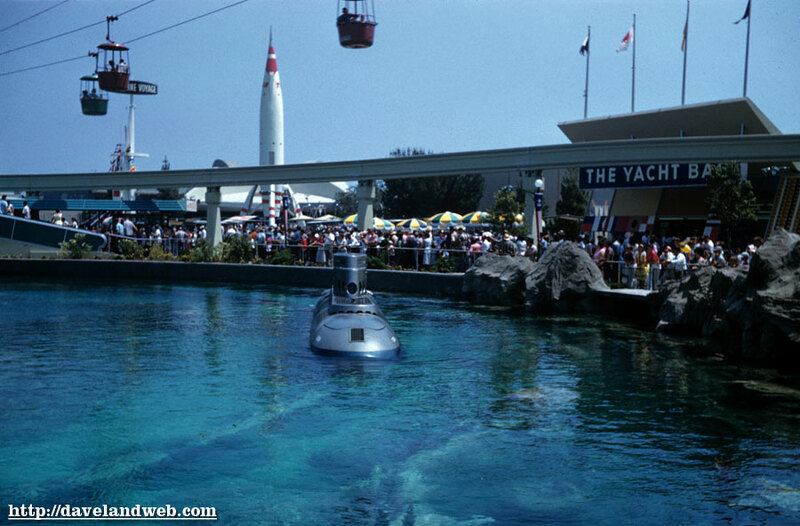 A similar ride opened in Disney World called 20,000 Leagues Under the Sea in 1971, and due to costs, the Florida ride was shut down in 1994, followed by the California version in 1998. The original Submarine Voyage was renovated to become a new ride. Today, you can hop in a submarine and see your favorite Disney fish in the Finding Nemo Submarine Voyage. 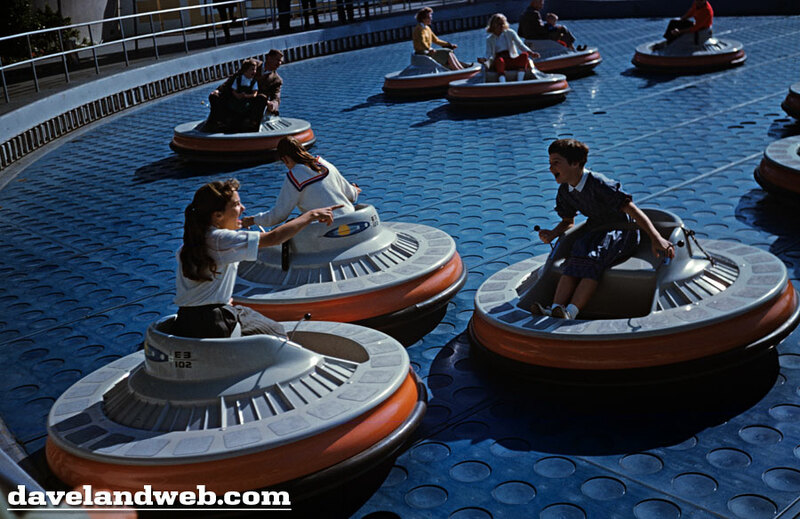 The Flying Saucers ride was sort of a mix between bumper cars and air hockey. Giant saucers big enough for an average-sized person to sit on were propelled across an arena by air valves; riders shifted their weight to direct the craft where they wanted to go. It was popular, but suffered from a lot of problems when larger guests tried to ride. 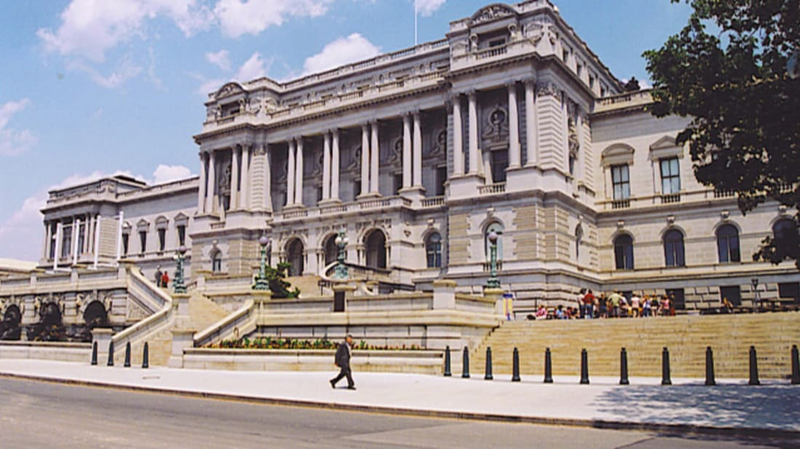 As a result, it closed for good in 1966. Today, the spot is occupied by Space Mountain. 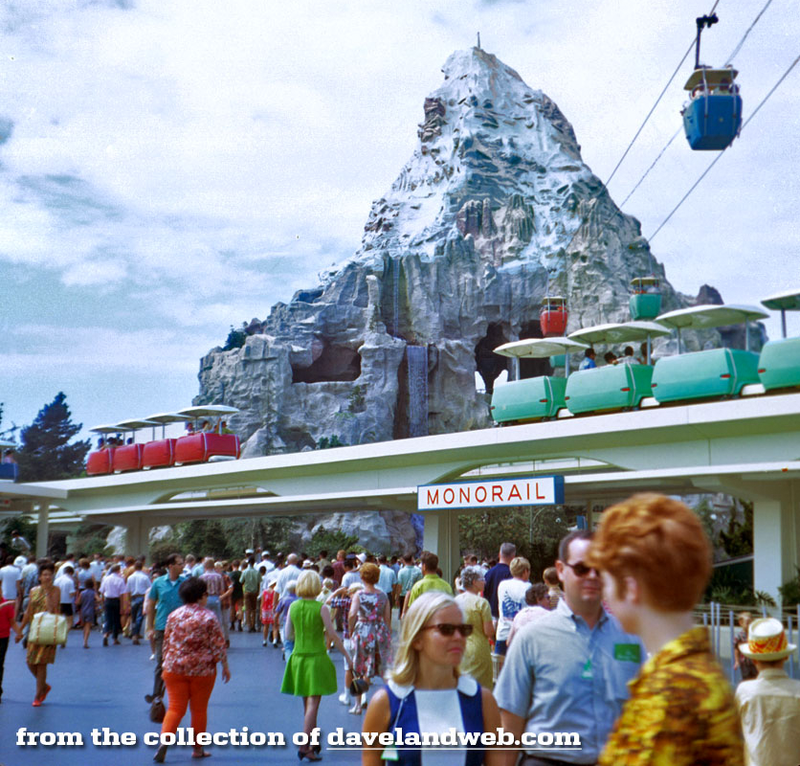 Located in the heart of Tomorrowland, this delightfully retro-futuristic ride gave patrons a great view of the park. Each rocket was big enough to snugly fit two riders and came with a lever that made it go up and down. 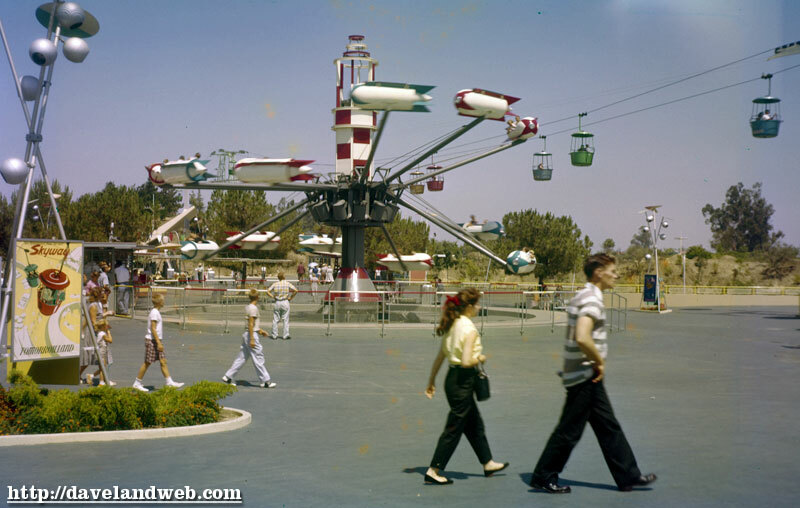 Rocket Jets, a similar spinning ride with more modern-looking jets, eventually replaced the ride in 1967. 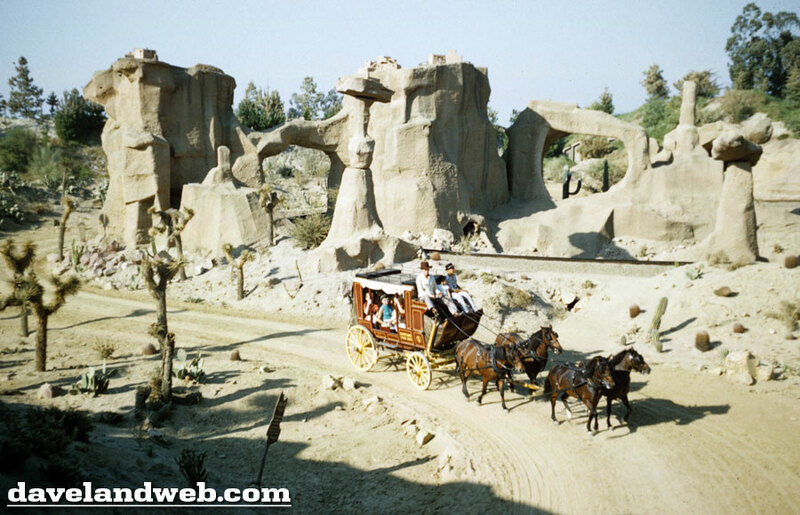 The stagecoaches in Frontierland gave visitors a chance to get the feel for transportation in the Wild West. After deciding whether to sit up top or inside, riders were transported back in time and through the Living Desert. The scenery featured balancing boulders, cartoonish cacti, and interesting rock formations. Unfortunately, the stagecoaches had a tendency to tip over and spook the mules; breakaway harnesses resulted in stranded passengers and missing mules—yikes! The mine train also went through the Living Desert, but unlike the stagecoaches, this ride brought its passengers into the rainbow caverns. Riders were transported through a beautiful cavern illuminated by beautifully colorful lakes and waterfalls. After the ride, patrons exited through the Mineral Hall, where rocks glow with the power of a black light. 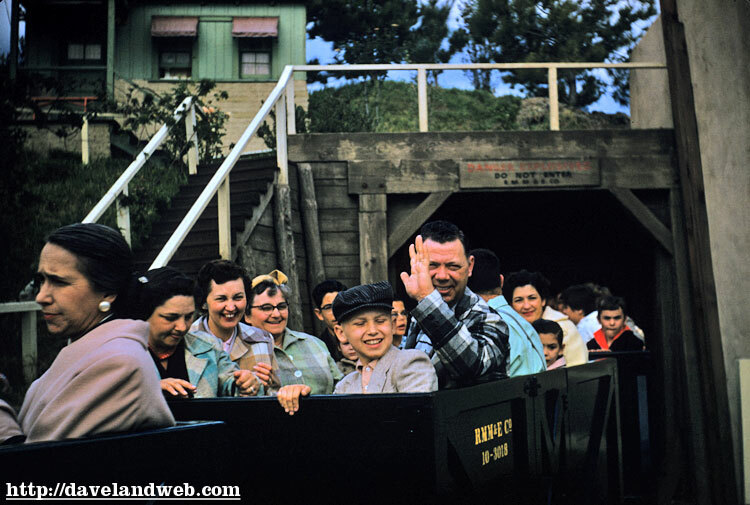 The ride was expanded in 1960, and became the Mine Train Through Nature's Wonderland. This new and improved ride now featured robotic animals, fossils, and Cascade Peak, a large mountain complete with waterfall. The ride was replaced by the rollercoaster Big Thunder Mountain Railroad in 1979, and most of the remnants have been bulldozed or removed. 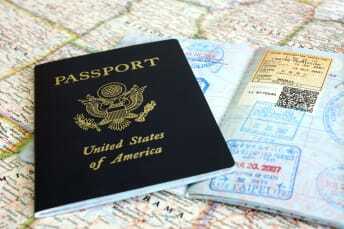 This ride aimed to encourage visitors to travel the world, and more importantly, to use Delta Airlines to do it. The attraction featured a hodge-podge of projection screens, animatronics, and pop-up storybook style sets. Passengers waited in an area fashioned to look like a terminal, and climbed into painted blue cars. The guests would then “take off” and travel through the ride. The ride was replaced by Buzz Lightyear's Space Ranger Spin in 1998. Patrons of this ride would start by climbing into "Atommobiles." These cars would slowly enter a giant microscope, where the riders would then be "shrunk down" to microscopic size. (People waiting on line would watch the visitors ahead of them shrink and disappear.) After passing through the microscope, passengers were then shot into a snowflake. This simulation was created by moving the cars back and forth while bringing them through a dark tunnel. The tiny navigators emerged from the dark tunnel and were welcomed by gigantic falling snowflakes. As the riders shrunk in size, the sights changed: giant snowflakes became molecules, and molecules broke down to atoms. Up on top, a giant eye watched the ride through a microscope. The ride was eventually replaced by Star Tours in 1986. 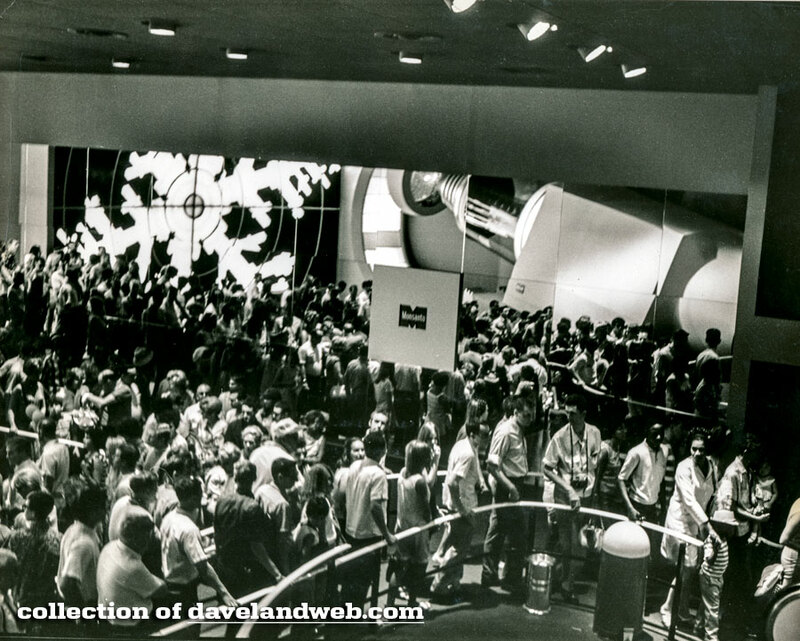 The PeopleMover was a lot like Florida’s Tomorrowland Transit Authority PeopleMover. Made to seem like the transportation mode of the future, these trains took patrons on a 16-minute ride around the park. The loading was done with some hustle: the train cars never stopped and doors closed automatically. After hopping inside, riders got a nice view of Tomorrowland. The ride was closed in 1995 in an effort to save money, but it remains standing. 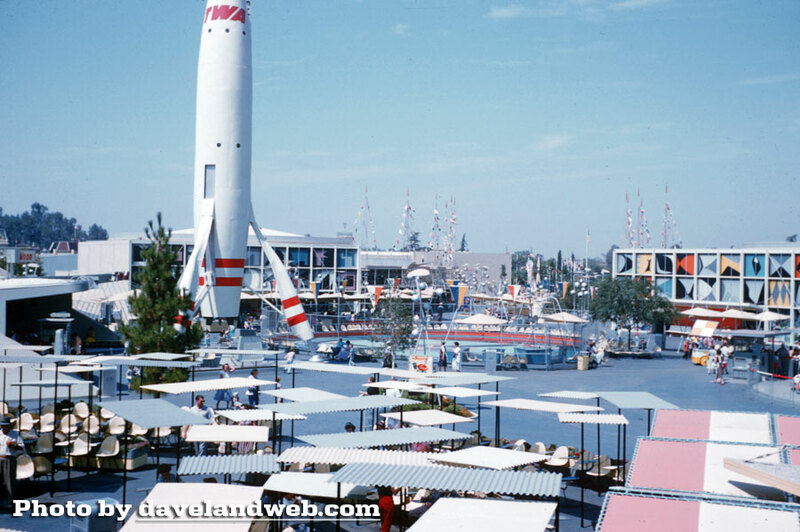 Previously called Rocket to the Moon, Flight to the Moon took place beside the Moonliner, the giant spaceship in the middle of Tomorrowland. At the time, the ship was the tallest thing in the park. The attraction inside was more like a simulation than a ride; visitors would sit in chairs surrounded by projectors, and the chairs would vibrate as the screens showed images of the moon. In 1975, the ride changed to Mission to Mars since, by then, humans had already been to the moon. No word on what the next iteration will be when we finally make it to Mars. Like many other Disney rides, this one has seen many different incarnations. 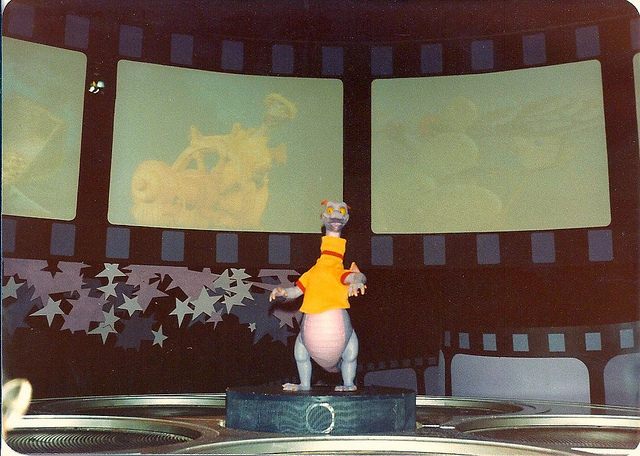 The current ride is called Journey into Imagination with Figment, but Figment didn’t always have such a large role. In the original ride, the passengers glided through what seemed like clouds. A bearded man with a top hat and goggles would fly over to the guests and introduce himself as “Dreamfinder.” He drove a contraption that collected dreams and the guests came along for the ride. The visitors are shown multiple rooms with different themes, like art, literature, and science. Today, the ride focuses on the five senses and Figment is in every scene (although Dreamfinder is nowhere to be found).